“Unless you make yourself noticed and believed, you ain’t got nothin’.” Advertising guru Leo Burnett uttered those words long ago, and the ad industry still swears by them. Noticed and believed — it happens when you understand your client’s business, brand, and goals, and create an ad that captures all three. 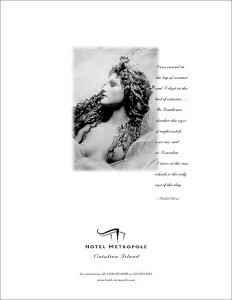 The Hotel Metropole sits on the oceanfront on Catalina Island. 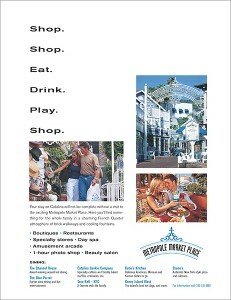 For an ad in a lifestyle magazine, its owners requested a mood of romantic fantasy and escape. 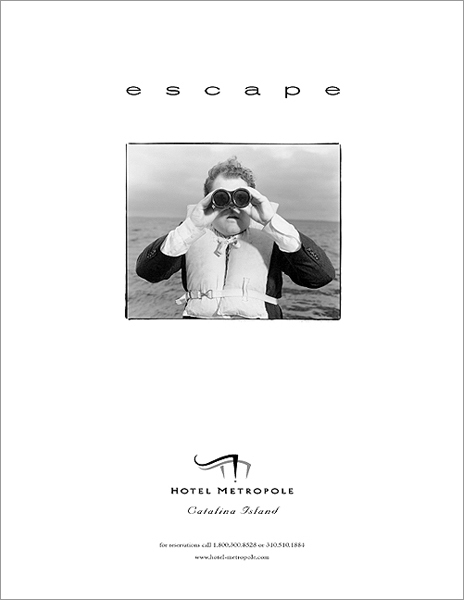 Fluid lines of poetry set against a dreamlike photo recall a getaway from another era. Second in a series for the Hotel Metropole, this ad maintains the fantasy and glamorous 1920s feel while adding a touch of humor. 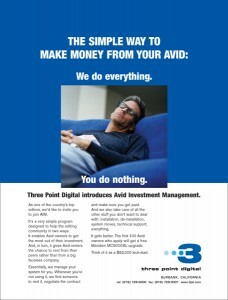 When you’re asking people to donate to a cause, it’s all about emotional pull. 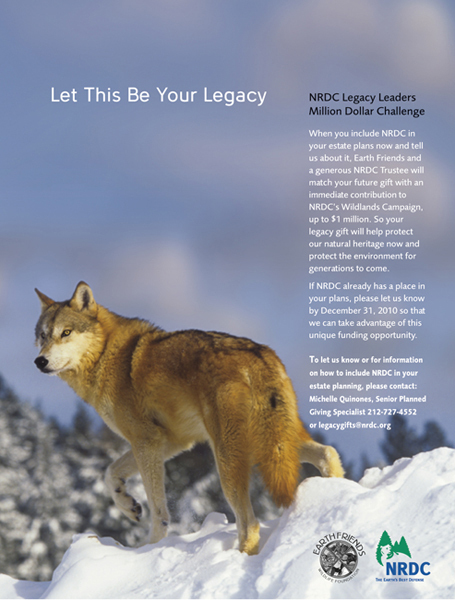 This ad for the NRDC’s Legacy Leaders features an exquisite portrait of a grey wolf — just one example of the endangered wildlife a donation will help preserve. 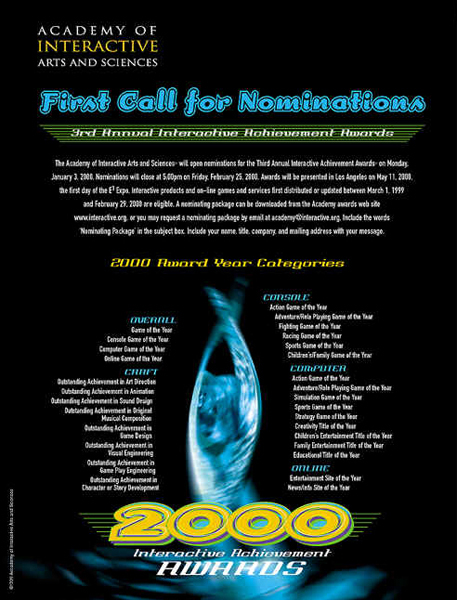 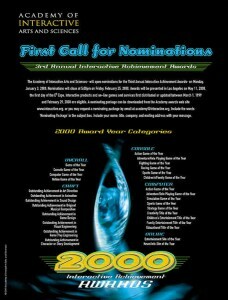 In an ad for the Academy of Interactive Arts and Sciences Call for Nominations, the type treatment creates a halo around the award and evokes the dynamism of the video game industry. 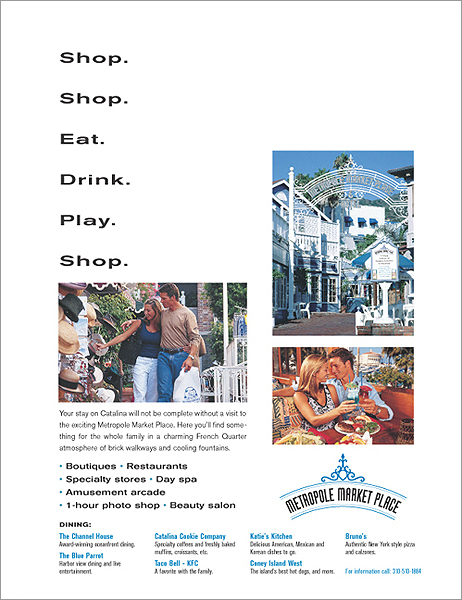 The Hotel Metropole’s shopping center, “Metropole Market Place,” needed an ad that would stand out from the competition in a visitor’s guide to Catalina Island. Using a few key images and a simple, uncluttered layout, we achieved the goal and increased visitors to the center. 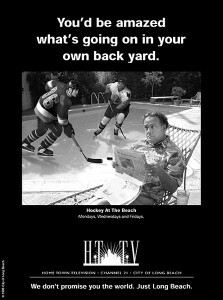 One in a series of TV Guide ads for the City of Long Beach’s Home Town Television cable channel. 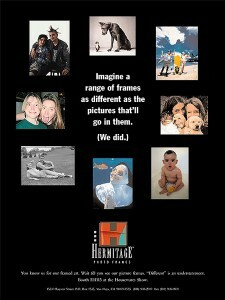 The startling photo montage delivers the message: don’t miss all the action in your own city! 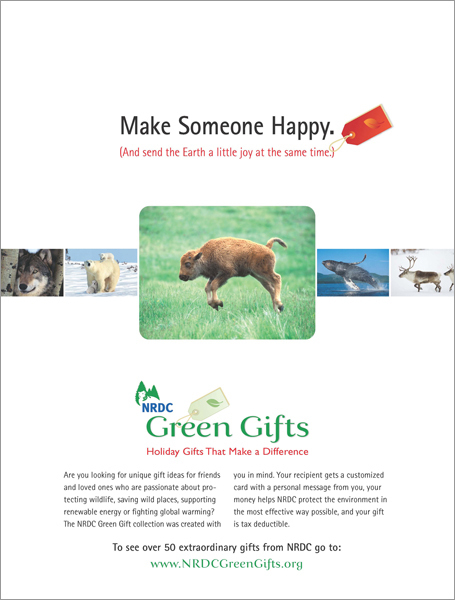 A baby buffalo leaps for joy — all because of your donation. 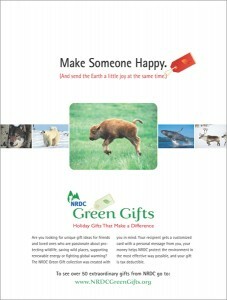 To introduce NRDC’s Green Gifts program, this ad featured animals and habitats that the gift donations helped to protect. 3-Point Digital asked for a campaign as bold as the company’s concept: a post-production studio that connects Avid owners with filmmakers who needed editing facilities and services. 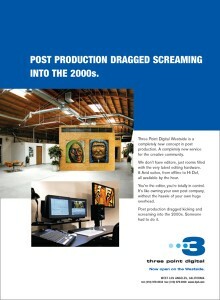 The striking blue-and-white design was deployed on a series of trade magazine ads.